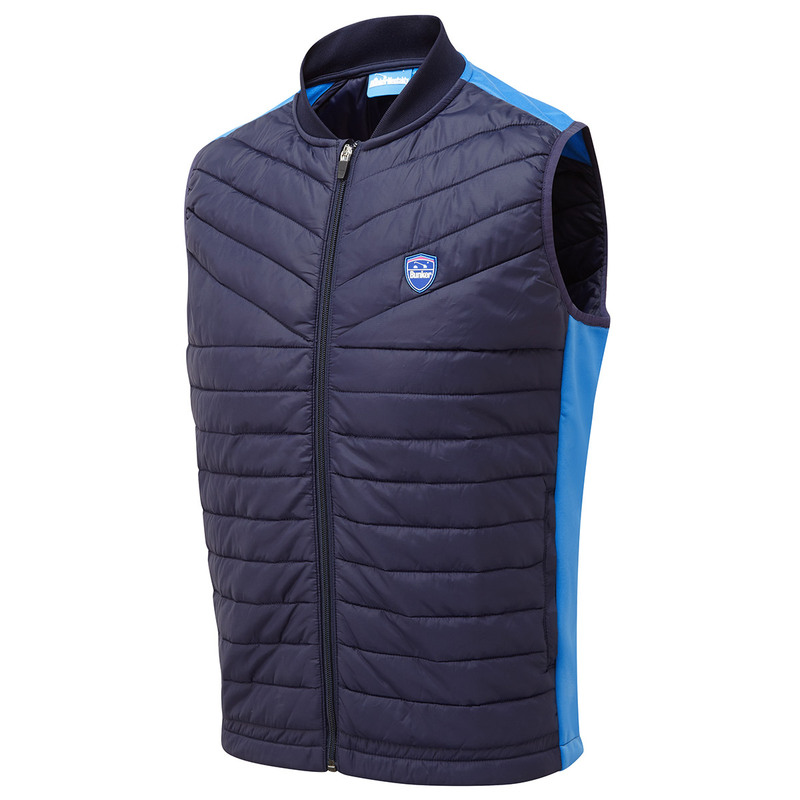 The Kai gilet offers great mobility to play golf and has been padded with Clo insulation to protect you in cold windy course conditions. 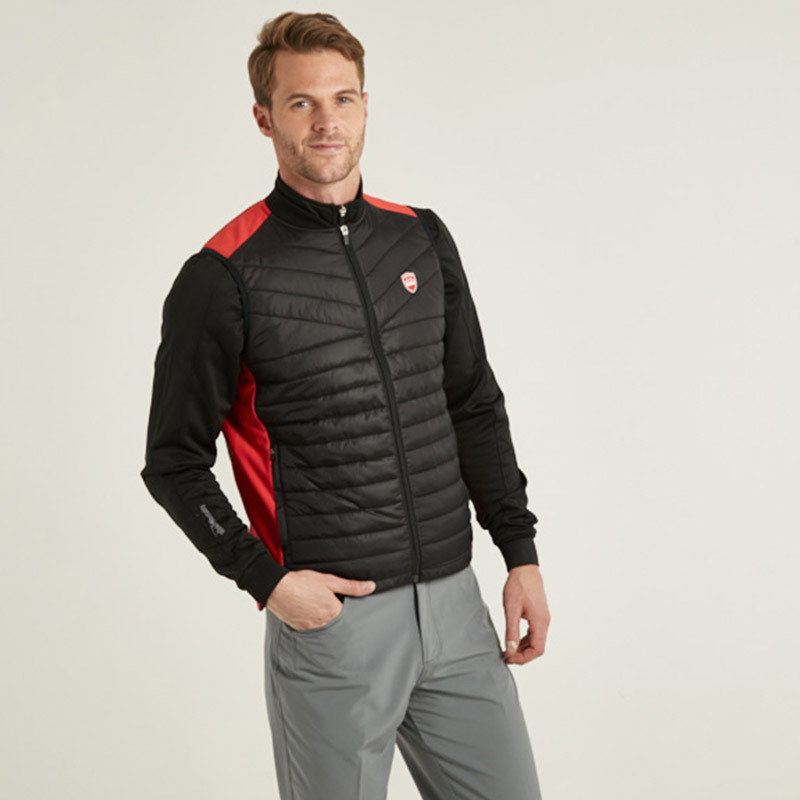 This layer is also light and breathable and has brushed material on the sides to feel more comfortable through the golf swing. The design features a front and back quilting pattern, has a full zip opening for quick and easy changing, and is highlighted with a Bunker Mentality silicone shield on the left chest.